When late summer comes around and autumn is on the horizon, it's time to get our soup on! One of my family favorites is minestrone. As I'm outnumbered by Italian people in my household, I always have to make a great version of this. So, by adding a little basil pesto along with an abundance of fresh vegetables, with a splash of parmesan cheese for garnish - and making a big batch - I find I'm a very popular person that day! 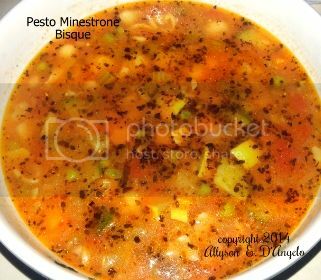 My Pesto Minestrone Bisque soup recipe is inspired by all of the great Italian cooks who put this dish in the soup category of authentic deliciousness. 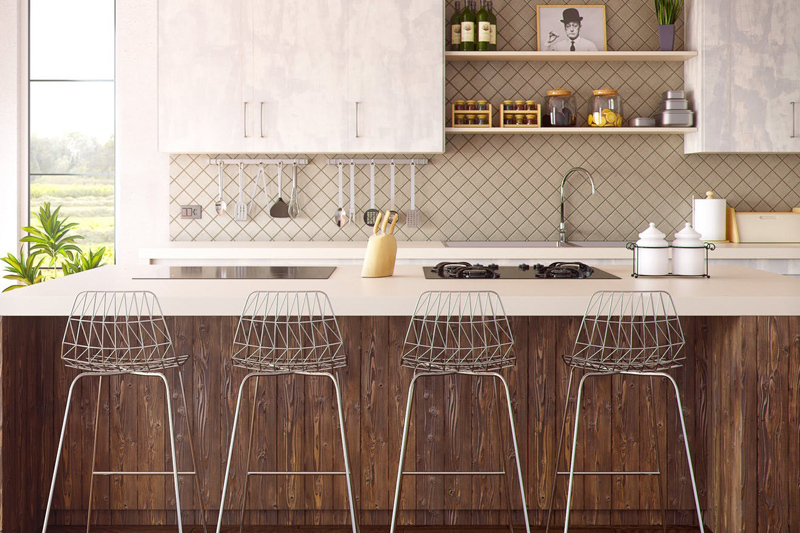 This recipe does require quite a bit of chopping - but you can cheat! More grocery stores nowadays are preparing ingredients for us, so you can purchase many of these already diced, sliced or at least peeled and ready to go! You will love this soup - and if you wish to omit the cream, that is your choice. I make this soup often for my family without the cream. It's nutritional, delicious and comforting - and a go-back-to-the-pot for a second helping kind of dish. Enjoy this with crusty Italian semolina or garlic bread for dunking, unless you are not on a low carb diet, otherwise it's all good!  Enjoy! 1. Heat the oil over a medium high on the stove top for 2 minutes and add the onions, leeks, carrots, potatoes, celery, garlic, parsley and basil. Cook, stirring occasionally for 8 minutes. 2. Next, add the broth, water, tomatoes. Bring to a simmer until the potatoes are tender, approximately 8 - 10 minutes stirring occasionally. 3. Lastly, add the pasta and squash, cooking until the pasta is al dente (firm to the bite.) When this is achieved, add the peas and the pesto sauce and cook for 5 minutes more, stirring well. Remove the pot from the heat and stir in the cream until blended, if using. Serve in bowls garnished with parmesan or Romano cheese along with a sprinkle of fresh parsley, if desired. Content copyright © 2018 by Allyson Elizabeth D´Angelo. All rights reserved. This content was written by Allyson Elizabeth D´Angelo. If you wish to use this content in any manner, you need written permission. Contact Allyson Elizabeth D´Angelo for details.